Have been playing tourneys more often lately, including this $40K guarantee they run on PokerStars every night at 8:00 p.m. Eastern time. Normally I don’t play much at night, preferring to spend the time with Vera Valmore, but she was away at a conference and so I once more hopped in the game. This particular $40K guarantee is a rebuy tourney -- just $3 plus 30 cents to start, then $3 for each rebuy or add-on -- with a relatively slow structure (15-minute levels). The rebuy period lasts an hour and is often characterized by the gambly shenanigans one frequently sees in rebuy events. However, thanks to the long levels I found it’s usually possible to be patient and wait for a good spot to double-up for free. I’ve been doing okay in these, cashing enough to make for a decent-looking ROI. Even a min-cash tends to approach $20, not bad if you can manage to get through the rebuy period without laying out too much. Also, this particularly tourney seems frequently to have overlays, or at least there have been the times I’ve played ’em. For example, last night there were 3,370 players, 6,040 rebuys, and 2,182 add-ons. That meant a total of $34,776 had been contributed by the field, so Stars added $5,224 to the prize pool to make the guarantee. I did cash last night. Had an okay stack going for much of the way, then was below average (down to about 16 big blinds) when I ran into pocket kings to go out earlier than I’d have liked. Had one hand in particular I enjoyed quite a bit, one in which I open-raised from the button with 8-2-offsuit and got a caller, then double-barrelled to take it down on the turn with my eight-high. Nothing too special, really, but the hand came right before a break and won me a decent-sized pot, carrying my total close to its highest point of the evening. So I had five minutes to get a drink of water and congratulate myself. 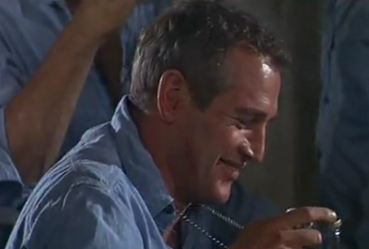 And think of Cool Hand Luke. After showing the clip I asked the class to respond to that line “sometimes nothing can be a real cool hand.” Has a kind of obvious meaning in poker, I suppose, referring to the fact that it can be easier to bluff with nothing at all than with a hand of marginal value. Sometimes, anyway. But I asked the students to think about the phrase in a broader context, relating it to the so-called “American” themes (e.g., freedom, independence, etc.) we’ve been saying poker tends to illustrate. Not to get all lecture-like here, but it doesn’t take too much cogitatin’ to see how the line represents more than just a neat thing to say after successfully running a bluff. It’s an entire “philosophy” or world-view, really, one which I think we see illustrated in a variety of ways in the U.S.
I’ll leave you to think about what I might be getting at there. Sort of like a teacher might do. Or someone who is bluffing. 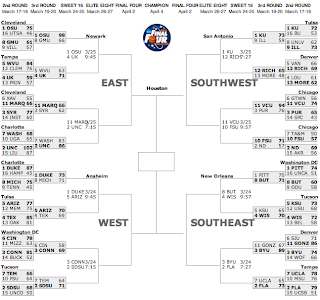 Last Sunday I found my attention once more divided between college basketball and happenings on PokerStars. As far as the b-ball went, my UNC Tarheels came back valiantly versus Kentucky only to lose in the end, their season ending one step shy of the Final Four. Kind of how the day went for me in that massive Sunday Storm tournament, actually, the one in which a whopping 113,770 players entered the $10+$1 event, thus creating a $1.13-plus million prize pool. Got off to a good start, then stumbled a little after a couple of short stacks doubled through me after winning flips. Then a late setback saw me suddenly cut down to just a couple of big blinds as the cash bubble approached. Like the Heels I came up short, hitting the rail in 15,000th or so to finish a couple of hundred spots outside the money. The ball game and my tourney run both ended, I turned my attention to the latest installment of the SuperStar Showdown, a “March Madness”-style buzzer-beater of a match between Viktor “Isildur1” Blom and Daniel Negreanu. After getting wiped out by Blom last week, Negreanu eeked out a win this time, having to make a huge comeback himself in order to do so. These SuperStar Showdowns have been running for three months now, and I have to say a couple of things about them have surprised me somewhat. One is the way the matches have remained interesting, something I can’t say I thought would be the case early on, especially after all the drama of the farce-slash-tragedy that was the Tony G match (the second one). After all, how could the sucker possibly remain intriguing after that? But then came the wild one-blind win over the qualifier Attila “DodgyFish72” Gulcsik. 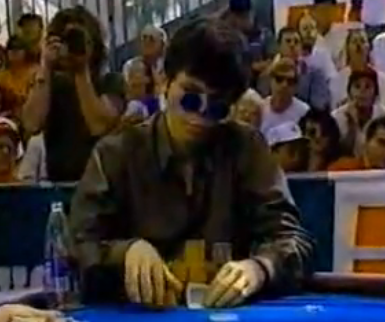 And the two matches with Negreanu were both quite riveting, too. One other aspect of the Showdowns that has surprised me a little is the way they appear to have affected Blom’s reputation and/or image, both among his opponents and (by extension) among those of us watching from the rail. At least it seems as though something along those lines is occurring as a result of these matches. Players who have participated in these SuperStar Showdowns have consistently praised Blom as a crafty, difficult opponent. However, more often than not the respect they convey is delivered in terms that make the so-called “King of Swing” seem a lot more “human” (for want of a better word) than he perhaps appeared even just a few months before. 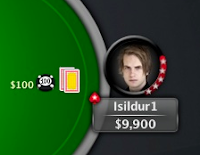 Prior to the first Showdown -- and especially back when the mysterious Swede first arrived on the scene in late 2009 -- Isildur1 existed as kind of a prototypical ramblin’ gamblin’ force of nature, reckless with his bankroll, willing to take on all comers, anytime, anywhere. And his anonymity only added further to his mythical-like stature. I remember hearing Patrik Antonius talk about Isildur1 to Phil Gordon in a video from December 2009. “He’s a very interesting opponent,” Antonius said, noting how he considered Isildur1 “very dangerous” because of his unrelenting aggression and willingness to gamble. He “wants to make big decisions all the time,” added Antonius, a penchant that necessarily meant his opponents frequently were being forced to do the same, like it or not. While somewhat specific in his analysis of Isildur1's play, the unknown opponent who “came out of nowhere” (as Gordon noted) still seemed hard to picture as a living, breathing member of the species to which you and I belong. Now, more than a year later, everything is different with regard to Isildur1/Blom, with these SuperStar Showdowns having a lot to do with the change. 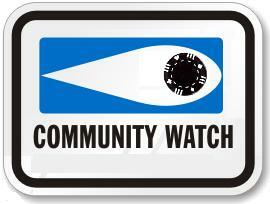 When a hand reaches showdown, that’s when players’ cards are finally exposed. I guess that’s kind of what is happening in these SuperStar Showdowns, too, with the gradual exposure of Isildur1/Blom, one match at a time. But even the more “human”-seeming version of the young Swede continues to fascinates many, which is why I think the SuperStar Showdown will keep capturing interest going forward. As will Blom, especially once he finally turns 21 (which doesn’t happen until August or September, I believe). I was leafing through the latest issue of Card Player, the one with Eugene Katchalov on the cover (March 29, 2011), when Phil Hellmuth’s “Hand of the Week” column about the final hand of the 1997 World Series of Poker Main Event caught my eye. That was the one in which Stu Ungar incredibly won his third WSOP ME title, hitting a fortuitous river card to beat John Strzemp. Like a lot of WSOP ME runner-ups, I suppose Strzemp has become the answer to a trivia question (perhaps a tad harder to spell than most). He’s also become a lot more, though, having served as an executive with several casinos before taking his current position as Executive Vice President and Chief Administrative Officer of Wynn Resorts. One reason I found myself stopping to read Hellmuth’s discussion was because I’d just heard Strzemp interviewed on the Two Plus Two Pokercast (episode 164, 3/15/11), and among other topics he talked about that final table, played in the heat and wind on Fremont Street, the only time the WSOP ME final table was ever held outdoors. Hellmuth summarizes the action for that final hand in the third paragraph of his column, a summary that actually includes one small slip-up. Here’s the hand, by the way, as shown on ESPN with commentary by Gabe Kaplan and Jim Albrecht. Strzemp is first to act and quickly puts out 120,000, nearly a pot-sized bet. Ungar then takes a while to respond. “He keeps looking back at that one card,” Albrecht observes, “as if he’s... maybe got an ace but doesn’t like the other... his kicker.” Finally Ungar raises to 800,000, enough to put Strzemp all in. I believe Strzemp has around a half million left -- it isn’t clear -- and he makes the call. Turns out Albrecht’s suspicions about Ungar’s hand were spot on as “The Kid” turns over . Strzemp meanwhile tables , meaning he is well ahead of Ungar. Hellmuth notes that “Ungar needed to catch a 4 or deuce to win,” then reports how the came on the turn. Here is where Hellmuth makes that small slip, writing that “The 3 on the turn meant that Ungar now needed to catch a deuce, and only a deuce to win.” The then happily arrives for Ungar, giving him the straight and the title, but obviously a four would’ve still done it for him there, too. In his analysis of the hand, Hellmuth questions Strzemp a little for just calling Ungar’s preflop raise, and criticizes him more directly for leading the flop rather than check-raising. Meanwhile, he likes Ungar’s post-flop shove. Hellmuth additionally says how looking at the ESPN footage he believed Ungar was looking at only half of his card (see pic above), noting it was a “two-spotter” or “two across” (like lowball players sometimes do), something he says he later confirmed with Ungar. In other words, the suggestion here is that Ungar knew he had an ace and either a four or a five, meaning he knew he either had aces up or a pair of aces with a gutshot to a wheel, enough to encourage him to make the reraise. I’m guessing the whole “two-spotter” observation was more than likely the reason why Hellmuth decided to write about the hand, though it has to be considered no more than interesting trivia here. Having paired his ace, Ungar’s probably pushing regardless. Indeed, Strzemp’s flat-call before the flop makes it much less likely he, too, has an ace in his hand. In the Two Plus Two interview, Strzemp is quick to point out that had he won that last hand he still wouldn’t necessarily have won the tournament. “The chips would have been even,” he says, “and who knows what would’ve happened from there.” Strzemp also adds, quite humbly, that had he won the event, “it probably would’ve screwed up my life a little bit,” a comment that resonates more strongly given Ungar’s sad fate. I call the “two-spotter” observation “trivia.” Spotting a slip in Hellmuth’s summary, well, that’s certainly trivial, too. But such is poker, in which a single hand can present a mass of minutiae, with the tiniest details potentially relevant, even crucial. 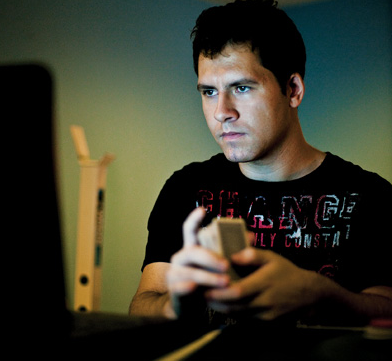 Late last week there appeared an insightful feature by Jay Caspian Kang in New York Times Magazine about Daniel “Jungleman12” Cates titled “Online Poker’s Big Winner.” Kang’s title alludes to the fact that Cates, who just turned 21 last November, earned more playing online in 2010 than any other player, ending the calendar year a whopping $5.5 million in the black. We’ve gotten to know Cates a little bit over the last few months. His huge run, tracked and reported meticulously by sites like highstakesdb.com, started grabbing a lot of attention as early as last spring. 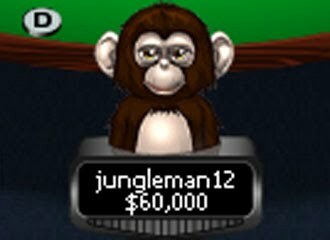 Cates’ following Patrik Antonius to accept the second “Durrrr” challenge in late August 2010 also put “Jungleman12” on the radar of some of those who hadn’t heard of him previously. Interviews followed, including one in early February on the Two Plus Two Pokercast (episode 159). If you happened to have heard that one, you probably recall how Cates sounded like a friendly, reasonably modest young man, though for the most part didn’t really have a lot to say, mostly sticking with brief, not-so-revealing replies to questions posed to him by hosts Mike Johnson and Adam Schwartz. All of which made me more interested to read the New York Times Magazine feature. Sure, I was curious to see how online poker would be presented in this mainstream publication, but also just wanted to see what else the reporter might have been able to uncover about Cates. The article begins with a quick sketch of Cates grinding online, casually fighting for five-figure pots while referring to the stakes as “boring” and not as big as what he normally plays. Reference to a million-plus dollar downswing versus Gus Hansen is also reported by Cates with relative indifference -- not meaningless, but obviously not out of the ordinary, either. The rest of the piece is primarily concerned with exploring the question of how young Cates came to occupy the current title of “online poker’s biggest winner” as well as estimating what may lie ahead for the young phenom. Like I say, it is an insightful piece that anyone reading this blog will likely find worth checking out. When you do, you’ll see that Kang avoids making any sort of overt judgments in the piece, leaving it to the reader to decide what he or she thinks about the world of online poker in general and Cates’s example in particular. That said, Kang’s portrait of Cates certainly shows the 21-year-old’s range of life experience to this point to have been somewhat narrow, mostly confined to sitting in front of computers and playing video games. From those many hours Cates has obviously developed a skill set that has proven most useful to him when playing heads-up cash games against online poker’s elite. Those video games helped Cates develop the “dexterity” (both “mental” and “manual”) that enable him to think quickly while multi-tabling. They also appear to have helped him develop both aggression and a kind of fearlessness that Kang suggests might be “the greatest benefit borne from a life spent playing video games,” namely, having become used to “the strange, disconnected relationship between what is simulated and what is real” characteristic of the games. Still, as Cates himself admits in the article, there is something lacking when it comes to the “balance of life” he desires. We were all talking about this same issue at length a month-and-a-half ago in the context of that huge prop bet between Ashton Griffin and Haseeb Qureshi, the story of which also comes up in the NYT Magazine article as Griffin and Cates are roommates. I’ll stop there and let you read the piece for yourself. I will say I find most intriguing the distinction Cates makes between “Daniel” and “jungleman” near the end of the article, and how he appears to wish that he could perhaps “be” Daniel (i.e., a more “human” self) a little more and “jungleman” (the “virtual” self he exists as online) a little less. Funny that he has that name “jungleman” to represent the virtual Cates. On the one hand, there’s something decidedly “futuristic” about the quick-thinking, several-steps-ahead-of-everyone online poker player who is consistently competing with and beating the best. Seems almost alien -- or at least not so human. Yet the name suggests a more primitive, less developed self, one yet to evolve into a fully realized member of society. Which makes Cates not unlike most 21-year-olds, really. 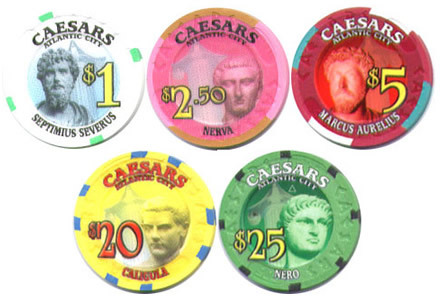 In my “Poker in American Film and Culture” class we’ve talked about various poker games but haven’t gotten too caught up in the difficult task of determining precisely when each variant was first introduced. 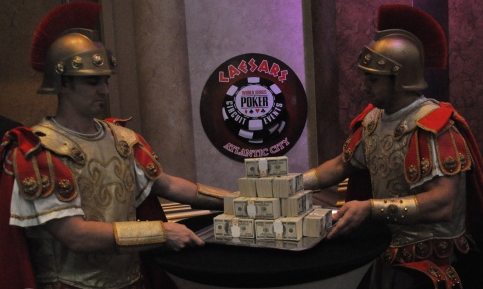 Fact is, when it comes to the history and culture of poker, there’s a heckuva lot else to occupy us. Even so, I have made some effort to ensure the students know, for example, that when poker was played in the 19th century the game was almost always draw poker, that stud poker arrived somewhere near the end of the 1800s and by the middle of the 20th century was challenging draw as the most popular form of poker, that hold’em started up somewhere in there as well (although did not become the most popular game until much later), and that tourneys weren’t really a big part of the scene until very recently. Not a rigid timeline, but some awareness of the various “eras” of poker. It’s good to have at least some idea of when the various games were played. When you pick up a Mark Twain story like “The Professor’s Yarn” (from Life on the Mississippi), it is worth understanding that the game being played in the story is five-card draw. 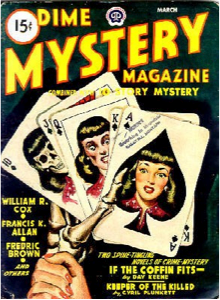 And that they’re playing five-card stud in The Cincinnati Kid (the film version of which is set in 1930s, moved back a couple of decades from the era of Richard Jessup’s novel). And the game is hold’em in Rounders. And so forth. That said, teaching the class has caused me to become more curious about pinning down some of these dates a little more precisely, especially with regard to Texas hold’em. Of all the games, there seems to be the greatest doubt about when exactly hold’em originated, with some claiming it started as far back as the early 20th century and others insisting it didn’t really come about until sometime after the second world war. These sources include references and/or suggestions that hold’em was first played “in the early 1900s” (the Texas legislature declaration), the 1920s (as Moss tells Bradshaw), the 1930s (the Moss bio), the early 1940s (the Moore article), the 1950s (Brunson), and even the early 1960s (Addington). The question requires some genuine research to answer, though I’ll admit before I begin that I lean towards placing hold’em’s origin somewhere close to mid-century (perhaps the 1940s) rather than before. I could be wrong, though. 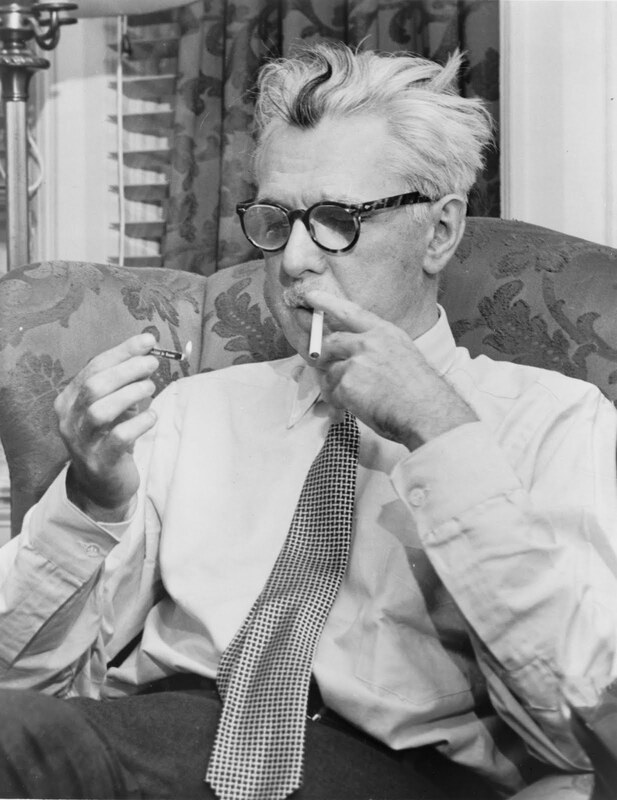 Earlier this week I happened to be rereading James Thurber’s hilarious short story, “Everything Is Wild,” first written in 1932, and realized it contained a passage that at least indirectly suggested the existence of game that could be said to resemble hold’em. In fact, it’s more like Omaha, a game that most certainly didn’t come about until much, much later. 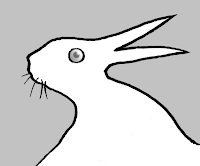 The story -- which, by the way, you can hear on episode 13 of the Hard-Boiled Poker Radio Show (with Vera Valmore helping out) -- features a “dealer’s choice” poker game in which players are calling out various wild card games. My piece for Betfair today titled “These Jokers Are Ruining the Game!” actually brings up Thurber’s story, too, if you’re curious. It’s a little confusing to follow, but it sounds as though the game involves building a five-card hand from the cards one is dealt and the five revealed one by one on the table -- in other words, there are “community cards” just like in hold’em or Omaha. Doesn’t really provide any concrete evidence regarding hold’em’s date of origin; in fact, Thurber could well have invented the game out of whole cloth as another example of an absurd wild-card game hated by the story’s protagonist, Mr. Brush. But the passage is suggestive nonetheless. I expect to find other useful sources once I embark on my investigation. In any event, if anyone has any good tips on leads, please send them along. Using scare quotes there, natch. Have to, right? The whole idea of a single “community” containing all things poker obviously doesn’t exist, although the concept of such a thing is often brought up in a theoretical way in various contexts (e.g., “How will the poker community respond to this-or-that?”). The discussion arose thanks to a comment Two Plus Two “Grand Poobah” Mason Malmuth made yesterday in a thread regarding recent developments and revelations related to the UB insider cheating scandal, including some of the tangentially-related drama surrounding UB Media and Operations Consultant Joe Sebok. In the thread it was suggested that there remain a large number of questions about the scandal and that UB COO Paul Leggett might be a person to whom those questions could be posed. Talk of an appropriate venue for such a Q&A ensued, at which point Malmuth jumped in to say he believed Two Plus Two itself (either the forum or the weekly podcast) would be the best choice. Probably worth noting that he didn’t say 2+2 is “the poker community,” but rather was referring to how the site tends to be a “place” (so to speak) where members of the community tend to congregate. A central location where people assemble to exchange ideas, you might say, like the Agora in ancient Greece (plus funny photoshops). Which in many respects it is. Nonetheless, subsequent posts in the thread and some of the Tweets from last night appeared to interpret Malmuth as having claimed his site is the “poker community” -- as though he were claiming the whole “world” of poker was included within the metaphorical borders of 2+2’s little empire. Malmuth didn’t say that, of course, although I can see how some might have considered him to have implied as much. Then again, maybe that was what he meant. (A later post by Malmuth in the thread, one more specifically identifying 2+2 as “the discussion center of everything poker,” perhaps edges even closer to making such a pronouncement.) No matter... objections are necessarily going to be raised whenever anyone refers to “the poker community” as if it were a single entity. I think most would agree there are many communities (plural) that could be said to have formed themselves around poker, including some those of us who spend most of our time in one particular community may not be aware even exist. Such was the observation B.J. Nemeth made regarding the significance of Zynga PokerCon which I was commenting on earlier this week. As that example illustrates, there are lots of people who have formed lots of communities -- some small and inclusive, others large and influential -- that have been brought together by the game of poker. It’s an interesting paradox, really, how poker is a game that provides both an occasion for social interaction (to commune with others) and an opportunity to pursue unapologetically our own interests (to compete with others). Such a paradox might help explain why even within various poker communities there almost always tends to exist tension and/or conflict, never mind the disagreements that often arise between disparate ones. When we play, we’re necessarily in it for ourselves. I can’t win unless somebody else loses. Makes it hard, sometimes, to think of others. Still, we have to think of others to some extent, right? Otherwise, there’s no game. I paid my life insurance today. A monthly ritual, that. Perhaps idiosyncratically, I choose to write a check and deliver it by hand to the insurance office, located just around the corner from where I live. I’m sure I could probably pay online or set up some sort of automatic withdrawal from my bank to take care of it, but for some reason I like to pay this one in person. Might well be some sort of hidden psychological explanation for that, if one were to search hard enough for one. I first purchased the policy last summer shortly after leaving that full-time “day job” I’d had for many years. The job included some nominal life insurance -- like a year’s salary or something -- and so losing that I decided to get a new policy once I’d struck out on my own. I recall going into the office and meeting the agent last spring. Gave him all the necessary info. And perhaps some not-so-necessary, too, as he was a friendly fellow with whom it was easy enough to chat. Such conversations are probably not altogether without meaning, actually. 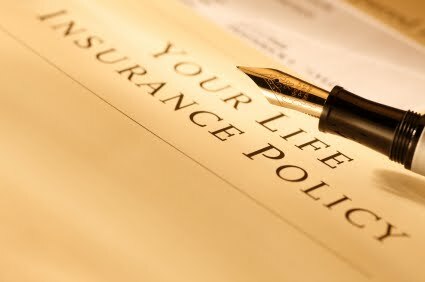 It helps, I imagine, to know a little bit about a person who is about to take out a life insurance policy on himself. At one point in our conversation -- after terms had been reached and there was nothing left to do but fill out all the required boxes -- I brought up James M. Cain’s Double Indemnity (1943), one of my favorite novels about which I’ve written here before. That’s the one about an insurance agent who falls for a femme fatale with whom he brazenly plots to murder her husband so they can collect on a policy he sells to them. “I don’t believe I’ve heard of that one,” said my agent. I asked if he had ever seen the film adaptation, also from the 1940s, directed by Billy Wilder and starring Fred MacMurray and Barbara Stanwyck. “Nope,” he said, shaking his head, adding that he’d have to check it out. He even wrote down the title on a scrap of paper as a reminder. I keep forgetting to ask my agent if he ever did see the film. Thinking back, I guess it probably wouldn’t be so great for your insurance agent to say he was a big fan of Double Indemnity. I remember asking a similar question at a dentist visit long ago. A particularly unpleasant dentist visit, in fact. I can’t recall all of the details, but I was in need of some sort of filling work, and the dentist -- a new one to me -- had some sort of newfangled procedure that he employed. Whatever it was, lasers were involved, and novocaine was not. At some point I was starting to become increasingly aware of the pain he was causing me. Perhaps you’ve experienced something similar, maybe even at the poker tables when things aren’t going well. I can deal with this, you say. It’s all good. Then, suddenly, you are hit with a kind of wait-a-minute-this-is-much-worse-than-I-thought-in-fact-I-hate-hate-this kind of revelation. The sort of epiphany that’s usually followed by some immediate action to counter the direction things are going. If you are in a state to do so, that is. Was too long ago for me to remember exactly what I said, but I did somehow bring it to my tormentor’s attention that I was hurting. Really hurting. His response surprised me a little. Rather than show concern, he instead seemed to offer some sort of rationalization. Something to do with the new method. I wasn’t sure how to respond. 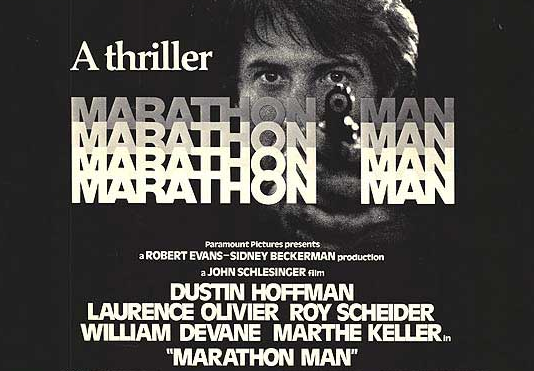 For some reason -- either out of confusion or a desire to lighten the mood -- I asked him if he’d ever seen The Marathon Man (1976). In fact, The dentist had seen the John Schlesinger-directed thriller. And far from finding my alluding to it humorous, he was Not Amused. Uh oh, I thought. Seem to have hit a nerve. Olivier’s slow cadence pulsed through my brain, surfacing amid the wavy rhythm of the laser’s hum. I don’t remember much after that. Don’t believe I scheduled a return visit to that particular dentist. 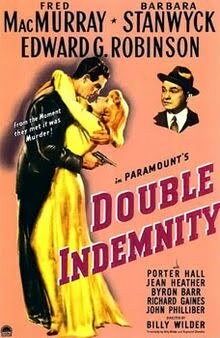 And maybe I won’t bother to bring up Double Indeminity again to my agent. No reason to give him any ideas. 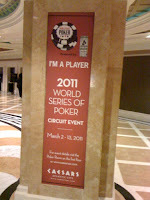 Been reading here and there about this Zynga PokerCon event that happened at the Palms last weekend. Like a lot of poker media, I was on the list of folks receiving emails and invites over the last few weeks, all of which succeeded in getting me at least vaguely intrigued in the sucker, though not enough to hop on a plane and fly across the country for it. Zynga is a social network game developer with an especially big presence on Facebook thanks to various games like Farmville, Mafia Wars, and the very popular Zynga Poker game. I guess they're involved with MySpace and other networking sites, too, but Facebook is obviously the one most know about and use these days. I don’t really do Facebook, but I do have an iPhone, and since hearing about the PokerCon I did download the Zynga Poker app and goofed around on it a little. Both fun and functional, and while chatting with friends and ordering virtual mixed drinks on the little iPhone screen is a little awkward, I can certainly see how the game has attracted many -- reportedly 38 million -- who play it (mostly on Facebook and MySpace). 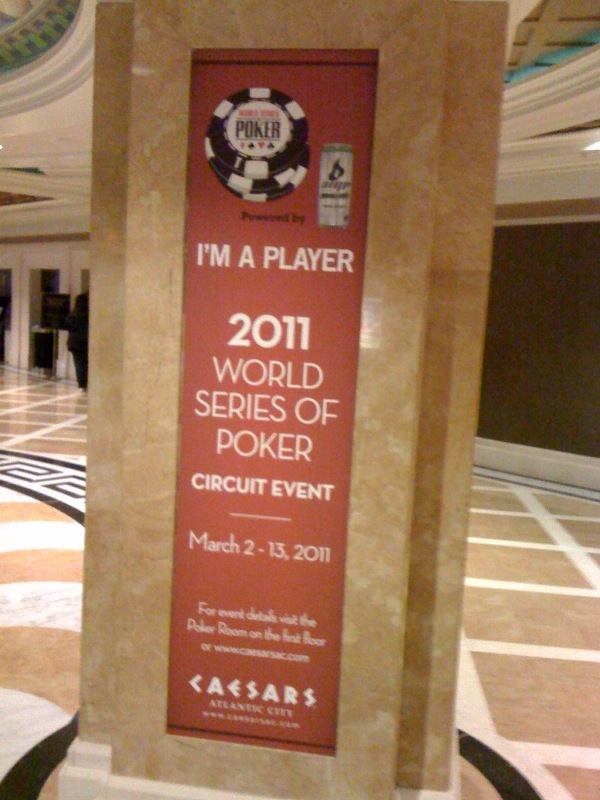 My impression from reading through various reports on the event was that it appeared -- like the game itself -- to be kind of a social networking opportunity allowing media, Zynga reps, and a number of poker pros to connect. Seemed like a genuinely fun time for a number of people there, too. Some of my friends and colleagues were there. Pokerati Dan was at PokerCon, providing audio, video, and textual reports. Michele Lewis also posted frequently about happenings at the Palms. F-Train stopped in and has offered “Some Quick Thoughts” on what he saw as well. B.J. Nemeth, who has recently begun a nifty site called “Sport of Poker” where he’s collecting a lot of his photography, Jess & B.J. vids, and opining on all things poker, was there, too, and has written up a very interesting opinion piece about the significance of Zynga and the event. In his piece, Nemeth addresses speculation about Zynga’s possible online-poker-related intentions in the U.S., specifically the idea that should some sort of federal law ever be passed allowing for the licensing and regulating of online poker in America, Zynga has positioned itself to swoop in and instantly become a major player in the newly-created market. Nemeth expresses doubts about that possibility -- doubts reinforced by some of his interactions with Zynga people last weekend. But he adds an interesting point, too, about the demographic of players he saw enjoying themselves at Zynga PokerCon -- many older, and a lot more women than one typically finds at the tables in your average poker room, live tourney, or getting most of the attention in the online poker world. In other words, the event seemed to highlight for Nemeth something potentially very significant about poker’s current status in American culture -- namely, that poker is popular not just among young men in their late teens or early 20s, but across a much wider range of players than we perhaps realize from inside the little world shaped by the sites we play on, the WSOP and other tours, the forums we frequent, and so forth. It’s a revelation I’ve also had over the last couple of months while teaching this “Poker in American Film and Culture” class. 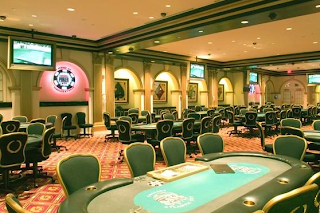 There I’ve had the chance to “talk poker” with a different group of people with whom I usually do so, and to talk about poker differently, too, as we together try to assess its significance and place in the U.S. today. Fact is, poker’s significance to American culture is a lot broader and more varied than a lot of us might realize, something the PokerCon appears to have helped demonstrate. Spent yesterday afternoon mostly watching hoops while tracking some of the Sunday action on PokerStars. Meanwhile, I was also following the Sunday Warm-Up yesterday while watching all of the ACC teams -- UNC, Duke, and Florida State -- win their games. Unsurprisingly, some hoops talk ended up sneaking into my recap post. 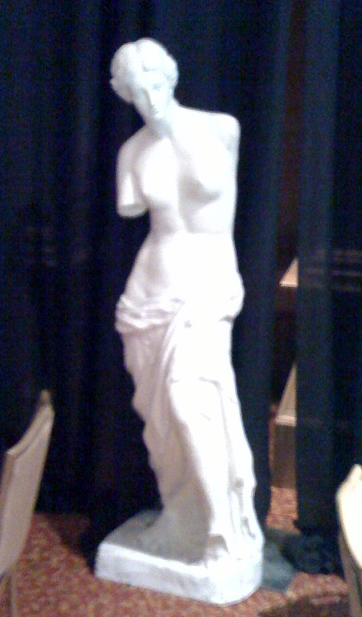 Found its way into the table talk, too, as it happened. When the Warm-Up got down to four players (the “Final Four,” natch), those remaining agreed to discuss terms for a possible chop and the tourney was paused. Not too unusual, although more often these deals happen with only two or three left. At that point two of the players were well out in front -- one with over 21 million chips, the other with 16 million -- while the other two were both sitting with between 6-6.5 million. I believe the blinds were 200,000/400,000 at the time. As generally happens, the moderator came on and proposed what are usually referred to as “chip chop” numbers. In the case of the Sunday Warm-Up, $10,000 is taken out of the prize pool, and then a calculation is made to redistribute the remaining prize money. In this case, there was about $413K left to be split between the four. The “chip chop” involves taking out last-place money and giving it to each player (here that was fourth-place money, or $56,703.40), then redistributing the remaining cabbage according to the percentage of chips each player has at the time the deal is made. This method ensures that everyone gets more than what they’d get if he or she were to be the next player eliminated, although some believe it results in some less than fair distributions, especially if one player happens to have a big chip lead at the time. 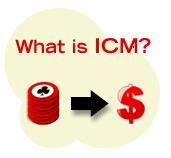 It should be noted that this “chip chop” method is not the same as the “ICM” (Independent Chip Model) method sometimes used for deal-making, a method some believe to be fairer. I’m not going to try to sort out the distinctions between the two models here, but here’s a poster over on Two Plus Two -- one who prefers the ICM model -- who does a good job explaining how they are different, if you’re curious. Anyhow, last night when these four started looking at the proposed “chip chop” figures, the big stacks liked them, but the short stacks didn’t. Ultimately they weren’t able to compromise and play continued. When one was eliminated the remaining three tried again, but once more the short stack kept asking for more, and again no deal was struck. It was only when they reached heads-up that a chop was finally made. Nothing too unusual about all that, really. 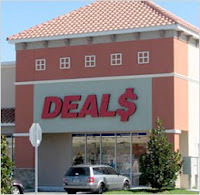 For a variety of reasons, deals don’t always go down. However, a couple of things popped up during the failed deals that stood out. One was that “hoops talk” I mentioned above. With four left, one of the short stacks -- the one most insistent on wanting more from the deal -- didn’t help matters much by mentioning how he’d lost a lot betting NCAA basketball yesterday and as a result needed more money. 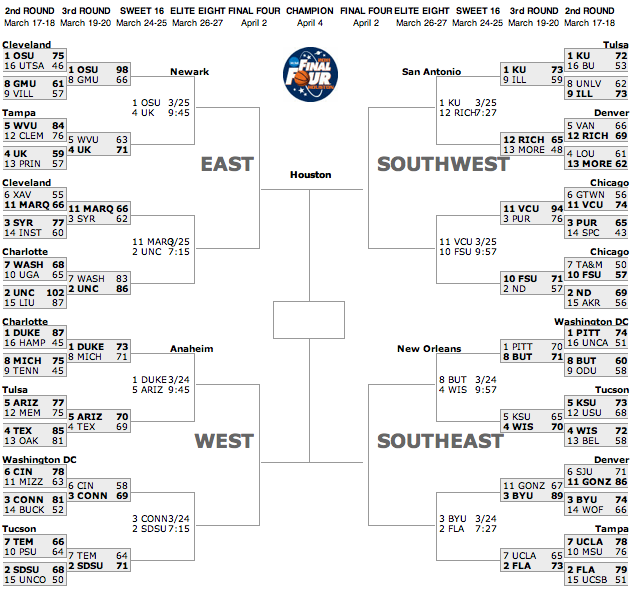 Guy even went so far as to say he’d place the extra dough on San Diego State in their upcoming Sweet 16 game versus Connecticut and share his winnings with the others. Serious or not, the offer wasn’t received well. In fact, it had the effect of making the others think he was pretty much out to lunch, thus hurting the chances of any sort of compromise occurring. The basketball-betting short stack kept coming back with his own figures, noting “me friend say ICM wrong,” and it actually wasn’t until the second round of negotiations (with three left) that the moderator clarified that the proposed figures were not, in fact, derived using ICM. For those of us reporting on it all, the deals can sometimes be a bit tedious. Sometimes, though, the deal talk becomes the most interesting part of the final table. In any case, I am often amazed at the wildly varying degrees of preparedness and/or knowledge players demonstrate when it comes to the specifics of deal-making. Occasionally causes weird stuff to happen. Just like in the NCAAs. Tonight’s six-handed final table at the World Poker Tour Bay 101 Shooting Star Main Event will feature a few familiar faces, some perhaps more so than others. Steven Kelly will be the chip leader when play resumes. Kelly, who doesn’t turn 22 until next month, may not be known to many, but I remember him well from his WSOP bracelet win last summer. I happened to help cover that one for PokerNews -- Event No. 39, the $1,500 no-limit hold’em shootout -- an event in which another 21-year-old, Annette Obrestad, finished 11th. Others at tonight’s final table include Casey McCarrel (in fifth), who has a few WSOP cashes to his credit, and Alan Sternberg (in second), another relative newcomer. Both players will be enjoying their largest cashes ever tonight, no matter how they finish. However, most who end up watching the WPT show later on will more readily recognize the other three final tablists. Vivek Rajkumar (fourth) already has one WPT title under his belt, the 2008 Borgata Poker Open (for $1,424,500). And just a couple of weeks ago Rajkumar finished runner-up at the 2011 L.A. Poker Classic (earning $908,730). With the blinds at 10,000/20,000 (with a 3,000 ante), Sexton will likely be in shove-or-fold mode right away with his less than 20 BB stack. 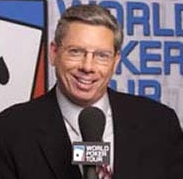 After several years of not playing in the WPT events, Sexton was finally allowed to join the fun in December 2007 at the Doyle Brunson Five Diamond World Poker Classic. Kimberly Lansing had recently joined the WPT team to do online interviews -- she has since become the “anchor” for the TV show in its ninth season -- and she interviewed Sexton at the time. “If you make it to the final table, who is going to stand in for you?” she asked. Sexton’s answer then was that Doyle Brunson -- the tourney’s namesake -- had agreed to join Vince Van Patten in the booth should it happen that he made it that far. Sexton didn’t make that final table, and in fact it wasn’t until last fall at the 2010 Borgata Poker Open that he finally scored his first cash in a WPT event, finishing in 20th place (on his 63rd birthday, as it happened). That finish added further to the $3.8 million-plus Sexton has earned in tournaments over a long, storied career that reaches back into the 1980s and includes a WSOP bracelet (in 1989) and a Tournament of Champions victory (2006) among the more than 250 in-the-money finishes listed in his Hendon Mob entry. Sexton has certainly been around a good while, having been a prominent figure in poker well before the “boom” ignited. I was just rereading Jesse May’s 1998 novel Shut Up and Deal, mostly set in Atlantic City in the mid-1990s, a book which I am assigning in my “Poker in American Film and Culture” class. May has his narrator, Mickey, allude to a few pros in the book, Sexton among them. WPT Executive Tour Director Matt Savage interviewed Sexton at the end of play yesterday, and you can tell that despite entering the final table with a short stack, Sexton is clearly excited to have survived to make the final six from the starting field of 415. Even if he goes out first tonight, he’ll still realize a six-figure ($148,000) payday. Meanwhile, the winner is due $1,013,500 plus free entry into the $25K WPT Championship at the Bellagio next month. I had a chance to chat with Sexton a little last summer during the WSOP at that event at which the new season of the WPT was announced. Found him very engaging and got a kick out of talking to him about his many years living in North Carolina (my home state) where he played underground games for 15 years or so before heading out west. Would also get a kick out of seeing the “Ambassador of Poker” score a needed double-up or two and stick around long enough to remain part of the story as the night goes along. Besides producing the television show, the WPT does an excellent job providing live updates of all its events on its website, so I’ll certainly be checking in over there to see how things turn out this evening. Back in January -- particularly right about the time that $250,000 buy-in event was added to the schedule over at the Aussie Millions -- there was a lot of talk both about the significance and value of these “super high roller” events. Coming on the heels of $100K events both in Melbourne as well as at the PCA in the Bahamas, some wondered if perhaps a new tourney trend was in the works. The events also brought renewed attention to that “All-Time Money List” kept by the Hendon Mob, even encouraging the creation of some alternate lists such as one excluding events with more than a $50,000 buy-in. Regarding the non-adjusted list, I recall some criticism at the time that the richest players could simply get together and organize their own, huge buy-in tourneys in which they mostly played one another, exchanging moneys back and forth while catapulting up the list (which in all its forms still doesn’t subtract buy-ins from a player’s winnings). 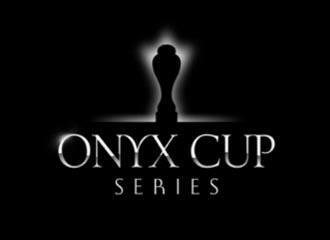 The announcement this week by Full Tilt Poker of its new “Onyx Cup Series” of high buy-in tournaments reminded me in particular of that latter observation. 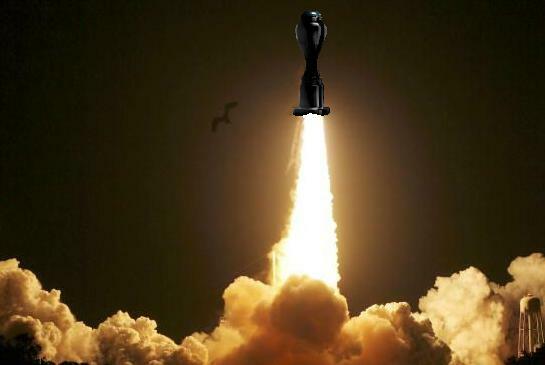 The series, which begins in mid-May, will consist of five events with buy-ins ranging from $100,000 to $300,000, with a “Grand Finale” happening in December. Participating players who do well in the first five events will accumulate points with the top finishers winning spots in the Finale (a $250K event). For that Finale, Full Tilt will also be adding an extra $1 million to the prize pool as well as awarding a “luxury sports car” to the winner. People were shaking their heads with wonder in late January at the fact that three six-figure buy-in events had already taken place within the first month of the year. Now the whole calendar is filled with them. 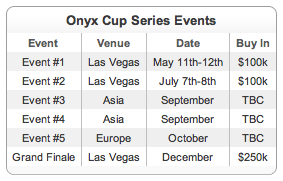 It should be noted that the Onyx Cup tourneys are not exclusive (not technically, anyway). Anyone willing to put up the buy-ins can play, and there will be satellites and additional ways for some to win their way in, too. Still, as Full Tilt’s promotional video and presser suggest, these events appear likely primarily to feature fields full of members of Team Full Tilt, a few of those rich businessmen we’ve seen turn up to play, and perhaps some other pros here and there. The pros who do play will certainly have to make some difficult decisions regarding poker players’ two most precious commodities -- time and money. With regard to time, there has already been some murmurs over the fact that the first event, scheduled for May 11-12 in Las Vegas, overlaps with the end of the EPT Grand Final in Madrid, Spain (May 7-12). The Five-Star World Poker Classic will be happening at the Bellagio then, too, with the $25K World Championship starting just after on May 14. The first Onyx event also just happens to come during PokerStars’ Spring Championship of Online Poker, perhaps a less significant conflict. And as far as money goes, F-Train has already pointed out that very few players are properly bankrolled for such a series, necessarily making the events somewhat exclusive, practically speaking. Check out F-Train’s post for his thoughts about other questions -- for both players and fans -- raised by the new Onyx Cup Series. I’m curious about the series, to be sure, but as I was writing about back in late January I find it “Hard to Relate” to these events much at all. I’m not versed in marketing lingo and the precise application of the terms, but the different strategies being demonstrated by the two big online poker sites caused me to think of that distinction between “vertical marketing” (where a company focuses on a specialized segment or niche) and “horizontal marketing” (where a company tries to reach many different customers, or even different industries). Perhaps it’s the differing stakes that is suggesting that metaphor to me as well, with the Full Tilt high rollers way up in the stratosphere playing their elite event while the thousands of small-timers, spread out all over the globe, play in the more humble events like the Sunday Storm or Sunday Million. Not saying the two sites don’t also employ the other approach, too. Full Tilt certainly has plenty to offer the small-timer (e.g., Mini-FTOPS, the latest edition of which is currently ongoing) and PokerStars provides contexts for the high rollers to strut their stuff, too (e.g., Isildur1’s “SuperStar Showdown” series, for which Daniel Negreanu will be this Sunday’s challenger). Still, it is hard not to respond more readily to those promotions in which I can participate or at least relate to on some level. That level being way down here. Been vaguely following some of this poker-related, Twitter-y back-and-forthing over the last few days, instigated by frequent-center-of-attention Prahlad Friedman. Friedman suddenly hopped on Twitter Saturday night to report “Isaac Haxton and Justin Bonomo share and switch accounts often. Was playing random guy and looked up his stats. Identical to Hax.” From there ensued several hours’ worth of claims and counterclaims, among them numerous instances of folks noting the obvious irony of a UB-sponsored player complaining about being cheated. Aguiar took the message as indicating some sort of blackmail-like threat, and from there came lots more posts, more private messages made public, and tweets from Aguiar, Sebok, and others. Like I say, I’ve followed some of the chatter, though not that actively. Kind of like overhearing a lurid cell phone conversation while stuck in public transit or something. Can’t quite shut it out, but can’t ignore it entirely either. The latest machinations involving Sebok -- put together with some of his recent podcast appearances -- put me in mind of his initial decision back in September 2009 to sign with UltimateBet as a sponsored pro and “media and operations consultant.” I wrote a post here then titled “Sebok Surprise” in which I expressed some trepidation over the move, comparing it to sweating a friend who appeared to be playing a hand badly -- hoping it might work out, but not feeling optimistic that it would. It also got me thinking about the significance of image in poker, and how things like Twitter, the forums, and other varieties of communication mediated by technology -- including the kind that happens in online poker -- can serve to complicate one’s image in so many ways. And I guess I’m talking both about one’s image at the table (of use to one’s play) and one’s image away from the table, too (perhaps better referred to as one’s “character” as understood by others). 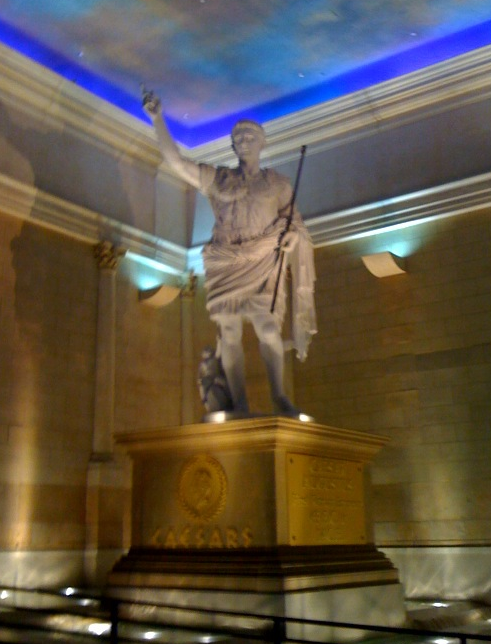 Mentioned yesterday I managed to play some at Caesars Atlantic City before leaving. Since the WSOP-C Main Event final table ended early, I was able to sneak in some hands of low LHE before grabbing a late dinner and hitting the sack. Hadn’t planned to play at all, but figured I might as well, if only to say I’d done so. 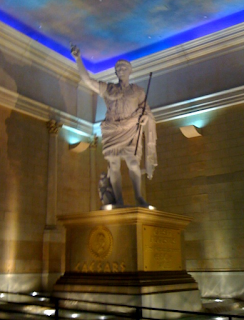 And today, of all days, I just had to write about playing at Caesars, right? Beware the Ides of March! And/or playing low limit hold’em. Was only there about an hour-and-a-half, I think. I emerged from the game relatively unscathed -- almost exactly even, in fact -- despite only hitting a few hands. Was your typical no-fold’em hold’em game in most respects, although there was one aspect that made it marginally more intriguing for your humble gumshoe. I was in the seat to the immediate right of the dealer. During the short time I was there, the game constantly fluctuated between as few as six and as many as 10 players. Soon after sitting down I realized the fellow to my left was doing a lot of talking, including cursing, both to himself and to others at the table. And, as it soon became apparent, a lot of drinking, too, as he seemed to order something -- usually Heinekens, sometimes liquor -- at least once per orbit. He was playing round for round, you might say. He was also playing very aggressively, rarely limping (the typical play at the table, natch), almost always betting when checked to after flop, three-betting and check-raising, and so forth. And he would fold now and then, too, thus giving an initial impression that there was some method involved. He won a few pots, too, during that first stretch, furthering that notion that perhaps he wasn’t as out of his mind as he seemed. Soon, though, he’d lost whatever he’d won and was rebuying. Again. And again. No, the guy wasn’t good. He was blotto. And playing like it was lotto. Adding to the madness, he kept trying to toss out the two Bally’s chips he had in his possession, mixing them in with his bets, with the dealers having to sift those out and return them to him. He was also becoming increasingly belligerent, even upsetting a couple of players with his actions and language. One actually left muttering something about being on tilt, although I think his mood was soured as much by his having lost a lot as by the inebriated antics of our tablemate. Perhaps on another day I’d have been upset, too, but I found myself feeling very stoic about everything. Maybe I was just too tired to get worked up, having averaged only 3-4 hours of sleep the previous couple of nights. But it was as though I were a detached observer gathering from the experience various details about human behavior, like some sort of anthropologist or something. And despite (or maybe because of) our close proximity, the dude hadn’t specifically directed any of his vitriol toward me. So I didn’t leave. Then I realized something else that was making the situation more interesting -- that was perhaps even a reason to stay longer. I could see every single hand my drunken neighbor was playing. Anyone whose played live enough has experienced something similar, I imagine. When first dealt his hand, he’d hold up his cards in front of him in such a way that I had to make a conscious effort not to see them. In fact, he’d usually utter some sort of judgment on the quality of the cards, too, letting me know not only what he held, but how he liked (or disliked) his hand as well. Then on each subsequent street he’d flash them again, again making it very hard for me not to catch a glimpse. It crossed my mind that I now enjoyed what could well be a significant advantage in the game. Ultimately, though, I never utilized it. I could claim some personal sense of integrity prevented me from doing so, but that wouldn’t be entirely honest. More accurate to say no circumstance arose in which the added info mattered. Might’ve been deterred also by a vision of the drunk suddenly catching me seeing his hand and responding with a barrage of profanity. Or bottles. Like I say, though, it did make the whole scene more interesting than it might have been otherwise, such as in one hand in which I’d joined a family pot from late position with 8-7-suited, then saw a flop come Q-A-8 rainbow. There’d been a bet and a raise before my action, so I let my bottom pair go. The turn was a five and again someone in early position bet, a couple called, and when the drunk raised everyone stayed in. The river brought another eight, making the board Q-A-8-5-8. I knew it to be the case eight. Why? Because I’d folded one. And my neighbor -- with K-8 -- had the other. He took the big pot, much to the dismay of the young woman who’d come in second with ace-queen, though he donated it back soon enough. I left the game shortly thereafter, thinking randomly about how strange a species we are, wondering why we do the things we do. And no, I wasn’t really focusing on the drunk. I was thinking about myself. 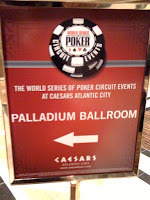 WSOP Circuit Atlantic City is in the books. Was a fun finale yesterday. Before things got started some were putting the over/under for our day yesterday at 10 hours, which seemed a reasonable line given the deepness of the stacks. Turned out to be way, way off, primarily because everything changed on just the second hand when the two chip leaders, Patrick Houchins and Brian Ali, got involved in a massive pot that saw Ali double through and left Houchins the table’s short stack. In the blog I described that “first round action” as Ali delivering a “gut punch,” and a little later when six players were eliminated in a one-hour stretch -- five by Ali -- it was hard to avoid the boxing references amid all the knockouts. Especially when Ali took out Ellis Jeff Frazier (in fourth). No shinola! Suddenly after just three hours it was heads up, at which point Ali and John Andress showed a lot of patience for nearly an hour until a cooler-type hand (two pair versus a straight) ended things with Ali the champion. For more details, here’s a link to yesterday’s blog, and here’s Nolan Dalla’s write-up of the finale over on the WSOP site. At one point during the day I finally decided that Ali and Frazier, both in their fifties, actually seemed to play very similar styles (conservative, tight-aggressive), although Ali’s big stack and Frazier’s short stack gave Ali a lot more freedom to see pots and thus made their similarities less obvious. They also were two especially friendly guys. Didn’t speak directly to Ali, but in his demeanor at the table and his interview afterwards he struck me as a very likable fellow. When WSOP Media Director Nolan Dalla asked him about how it felt to win, he said how winning the lottery would be nice, but winning a tournament like this in which you use skill to defeat “a bunch of really, really good players” was immensely more satisfying. I did talk with Frazier some before the start of play. He thanked Rich and I for the coverage, saying some very nice things about it and explaining how his wife and family were at home following it excitedly. He said how his wife was carrying the laptop around the house refreshing constantly for updates. There was one other 50-something at the final nine, Roland Isrealashvili, the fellow who actually won the WSOP Circuit Atlantic City Main Event last year when it was a $5,000 buy-in event. I believe he’s originally from Georgia (of the old U.S.S.R.), and I remember him and Ali talking some about on Day 2 about the old Cold War as Ali was in the military in the ’70s. At one point yesterday Israelashvili had me thinking of Rodney Dangerfield, both because of a very distant resemblance and the fact that he was delivering one-liners fairly constantly throughout the day. Had the table cracking up over and over, and when he busted in fifth you could tell by the way the others wished him well that everyone very much enjoyed his presence at the table. Israelashvili also delivered some insight about one key hand early on, too, that I found interesting. Houchins would eventually battle back from that early hit to finish third in the tourney, but had to get very lucky along the way, particularly in one key hand versus Albert (A.G.) Winchester. In that hand, Houchins had open-pushed all in from middle position, and another player in late position thought for a couple of minutes before finally folding. During that period there was a question about Houchins’ exact stack that took some time to answer (he had 551,000 left). It then folded back to Winchester in the big blind who called. Houchins had pocket fours and Winchester had woken up with A-A, but Houchins spiked a miracle four on the river to survive. Winchester took the blow very well and also had a “that’s poker” smile on his face after he busted soon thereafter in eighth. Some time later discussion of the hand had revived, with Israelashvili saying he knew that Winchester had aces even before he called. “How could you know that? He was the big blind?” questioned others. It did seem a far-fetched claim, perhaps another one of Israelashvili’s jokes. He then explained that he knew at least that Winchester had a big hand and was going to call what was at the time about a 15-big blind shove. His reasoning? When the question arose about Houchins’ stack size, Winchester had answered it exactly, showing that while the late position player was tanking he’d been paying close attention and was interested in the hand. Circumstantial evidence to be sure, but it seemed to convince the others at the table that Israelashvili might be on to something. The other six guys all fell into the more typical demographic for these things, most in their 20s and most playing a lot online as well as live (as revealed by their table talk on both Days 2 and 3). They were also -- as I was mentioning yesterday -- mostly very witty guys, matching Israelavshili with several funny contributions themselves. So lots of fun yesterday, and ending early wasn’t so bad either. Gave me a chance to play a little in the poker room (I’ll write some about that later in the week), then rest up for today’s day of travel. Definitely a different, more relaxed vibe on the WSOP Circuit than one encounters at the WSOP in Vegas during the summer. And it was great working with both Rich and Nolan again. Haven’t gotten to see much of Atlantic City, I’m afraid, though I think I’ve experienced enough to confirm some of the generalities I’ve heard about the place. Might share some of those thoughts, too, later in the week. Looks like check-out time is approaching, so I better get packed. 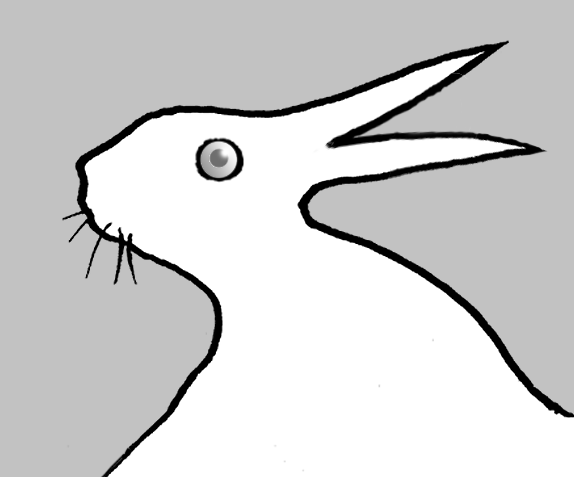 Thanks for following my little travelogue here the past few days. And good luck! They were down to the final two tables at the $1,650 buy-in WSOP Circuit Main Event in Atlantic City when this new piece of poker knowledge was delivered to me. It was getting late. Another player joined in excitedly, agreeing that the “proven fact” should be reported. It was a conversation that had begun with more straightforward discussion about percentages and how AJ-suited compared to a lower pocket pair when it came to preflop all-ins. Then came the silly. Both agreed it would surely go viral -- the proclamation about pocket nines -- as the report got picked up and repeated in the forums, on Twitter and Facebook, and elsewhere. “That’s good information to know,” I responded with a grin. From the reporting side of things, that progression was kind of how the day as a whole went, starting out somewhat staid, then gradually turning increasingly giddy. Kind of thing often happens once a tourney has moved through those last orbits just prior to the money bubble bursting to the period afterwards when everyone has at least cashed. And many if not all still harbor hopes of landing the big score. We had 81 players to begin Day 2, evenly divided among nine tables. Bustouts came quickly, but my blogging partner Rich and I were able to keep track of players relatively well thanks to the seating chart with which we began the day. I had done what I often do in that situation as players were first arriving and taking their seats -- go around and make notes next to names about their appearance or dress to help me remember who was who later on once they’ve begun moving around. The side of the page gets peppered with keywords like “purple shirt,” “red hair,” “Titleist,” “LAPC,” “plaid hat,” “bald,” and the like. Then come the knockouts, represented up and down the page by unfeeling crossout lines. Things were most tense right as the bubble burst yesterday. An unusual set of circumstances led to there being no hand-for-hand play, as a half-dozen players all busted within just a couple of minutes of one another to take the field from 50 to 44. Since the top 45 finishers made the money, there was a bit of uncertainty regarding the last two bustouts, which had essentially happened at the same time. Took a few minutes of sorting out -- some of which time was taken up calming the fellow who appeared as though he might get shut out of the cash -- but all seemed to work out well enough (45th-place money was split between those two) and play finally resumed. As I say, once in the money the overall mood relaxed considerably, the table talk increasing as the night wore on. A lot of other stories were being passed back and forth, including one very humorous one told by a player about a particularly poor display of behavior by an opponent at another tourney he’d played. Won’t rehearse the whole thing here, but it involved the player unpeeling a banana and smearing the peel on the felt, then putting the banana on his chips as well as part of some sort of ill-conceived protest. Or performance art. Talk of penalties followed, with the tournament director joining in to share the no-nonsense way he’d have handled the situation. “They should have at least taken his banana away,” cracked one player. The storyteller noted how he had a friend who’d once endured the bad behavior of “Banana Man,” and the friend confirmed he was the “douchiest player” ever. “At least he’s the best at something,” said another, and the table broke up in laughter again. There was another very funny sequence lasting several minutes once we’d crossed midnight and the main topic of conversation turned to Daylight Savings Time. No one seemed to know with absolute certainty whether the clocks were to be moved forward or back, nor when the resetting was due to occur. The discussion was complicated even further by some wanting to know what time it “really” was. Additionally, a couple of players noticed after midnight their Verizon-connected phones were saying it was a little after 11 p.m., which made as much sense as pocket nines being more likely to hit a set than any other pair. “That’s because you guys are on Verizon time,” said the tournament director with a grin, clarifying nothing. The whole conversation about time started to feel a little “existential,” especially given the context, namely, a casino, a place specifically designed to obscure the whole concept of time for its inhabitants. I joked with Rich that the whole “spring forward fall back” mnemonic only really works if you know what season it is -- harder than one might assume for those who spend the majority of their time inside of poker rooms. As I say, there was a lot more banter that made the scene quite fun to be around. Those who have played tournaments and made deep runs before well know how this strange sort of camaraderie often develops between the survivors -- strange because while they’re becoming friends, they’re also trying to eliminate one another. And after spending another 14 hours or so yesterday with those who’ve made today’s final table, I have to say I’m glad for all nine, and will be more so for whomever comes out on top. Have no favorites among them, although I cannot help but notice a couple of neat storylines suggesting themselves rather strongly. Roland Israelashvili, who nursed a very short stack for much of the latter half of the day yesterday, will be there. He actually won this same event last spring (when it was a $5K buy-in tourney), and so would make WSOP Circuit history should he defend his title. And speaking of “title defenses” and such, a heads-up battle between Brian Ali and Ellis Frazier would make for some nifty headlines, wouldn’t you say? If that were to happen, we’d know for sure the bout would end with a knockout. Check over at PokerNews starting at 2 p.m. (Eastern Daylight Time) today to see how it all turns out. No matter who makes it to the end, we’ll be providing blow-by-blow coverage. “Good luck” is a commonly-heard saying here at Caesars Atlantic City, a phrase that seems to punctuate practically every encounter, no matter how incidental. 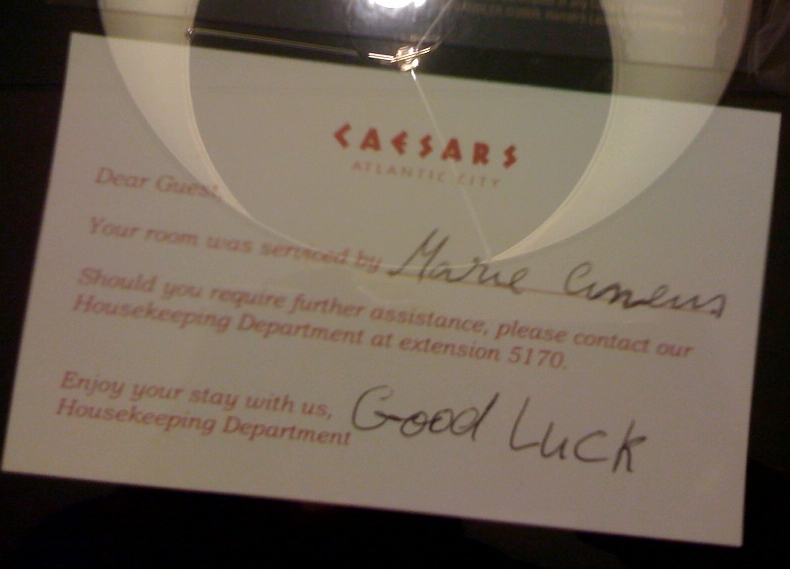 Check in, and the person manning the front desk wishes you good luck. Ask where the elevators are located, and after getting your answer the person helping you wishes you luck following directions. Even last night when my blogging partner Rich and I went for dinner, the host passing us off to the person seating us wished us good luck, which we both agreed hopefully wouldn’t be so necessary with regard to the upcoming meal. As someone who is not really here to gamble, but rather to help cover the three-day, $1,650 buy-in WSOP Circuit event being held here through Sunday, such wishes seem a little incongruous. They are certainly well taken, though. Indeed, now that I think about it, there’s always some luck involved whenever a small team -- in our case just the two of us -- try to cover a large field, multi-table tournament such as the one Rich and I were monitoring yesterday. A total of 442 came out to play the event, well above the 300 or so I was hearing most estimate prior to it kicking off. That meant the spacious Palladium Ballroom was fairly packed, with Rich and I doing a lot of hoofing it over the long day of play. They played 16 40-minute levels, which including breaks took us from noon until close to 2 a.m. Went from 442 players down to 81, which I think is just about right on schedule as far as these things go, with the plan being to play down to a final nine today. For the reporter, then, luck does play a role in that constant search for the little stories that ultimately add up to the larger tale of the tourney. (Thanks, by the way, to PKR for the “good luck” comment to yesterday’s post.) Most of those stories obviously center around hands played, although other “color” items often make it into the mix as well. If one is lucky, that is. Was able to spin a few fun ones yesterday. Probably my favorite involved Andy Santiago, an amiable guy who had actually come around to say hello while I was visiting with WSOP Media Director Nolan Dalla on Thursday. Santiago had written out a signed “affadavit” (as he called it) predicting he was going to win the tournament, delivering it to Dalla. He then got off to a very good start yesterday, which gave us occasion to tell his story. Unfortunately he ran into a couple of very unlucky hands late in the evening to bust before day’s end, including one where he’d flopped trips while an opponent flopped a boat. He was good-natured about it, though, and chatted with us some more after his elimination. In fact, as he was leaving I remember wishing him “good luck.” Even though he’d just busted, it still seemed like the right thing to say. As happened a lot during those $1,000 buy-in no-limit hold’em events I covered last summer at the WSOP -- occasionally referred to here as “The Grand Games” (such as here and here) -- we had a lot of interaction with the players yesterday, many of whom are locally-based. 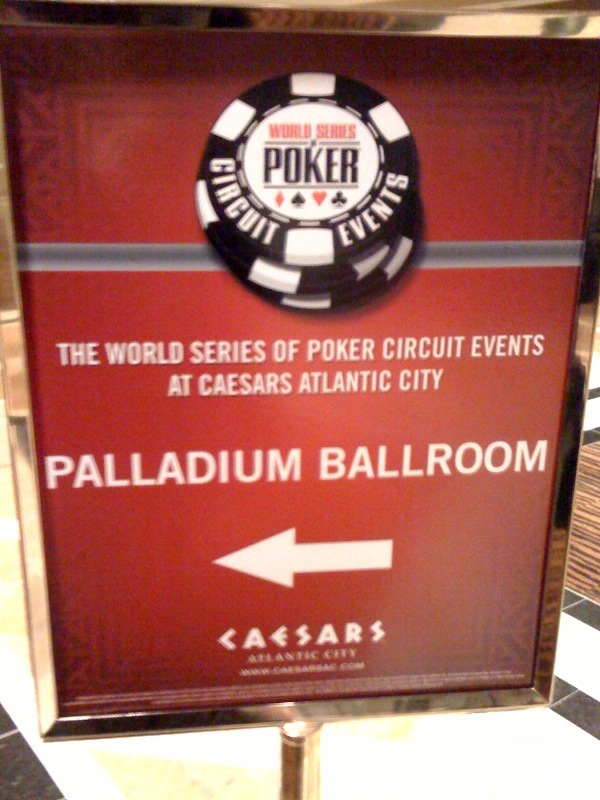 A big difference from the WSOP, of course, is the fact that there really aren’t a lot of media here other than Rich and myself, perhaps making it even more likely for us to draw the players’ attention. Had a few funny exchanges as the day and evening wore on. “You drawing sketches?” asked a player of me once with a mischievous grin as I stood nearby with pad and pencil. Another time one got up and walked over, put his arm around me, and offered to give me humorous “Cliffs Notes” regarding the personalities at his table, and I subsequently chronicled his explication here. Another time a player stopped me to ask if any famous players were in the event. I rattled off a few, and he told me he had plans to be among that list one day. Actually there were really only a few so-called “notables” in the field for this one, including Steve Dannenmann, Sirous Jamshidi, Beth Shak, Paul Volpe, Josh Brikis, Matt Matros, and David Apostolico. Had the chance to speak some with Apostolico, a friendly guy and author of several interesting poker books including ones relating poker to Machiavelli's The Prince and Sun-Tzu's The Art of War. None of those folks made it through to Saturday, however. Probably the best known player still remaining among the last 81 is Eric Buchman who finished fourth in the WSOP Main Event in 2009, although he’s on the short side and will need things to go his way in order to make it to the top 45 and the cash. Mike Kosowski -- the retired NYPD sergeant who defeated Daniel Negreanu heads-up to win $1 million on the “Million Dollar Challenge” in late 2009 -- is still in as well. Even without the big names, though, I’m sure we’ll find plenty of stories to tell as they play down to the final nine today. You can check in over at PokerNews to see how it goes. And for whatever else you end up doing this weekend, good luck.